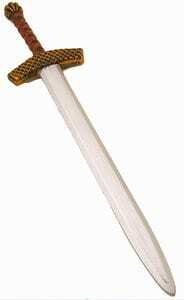 30 inch plastic kings sword. This sword has a silver blade and a brown with red handle. Lightweight and great for stage, Halloween, or just for dress-up time.